Writing has always been a passion. Published in his school anthology at an early age, Joe was able to get his first taste of the self publishing idea, having gotten to see firsthand what it took to publish and sell something on your own. Right out of school Joe joined the Marines and while serving his country, wrote the first draft of Amongst The Killing. When Joe got out he began pursuing his writing dream in Denver. He got an agent and they actually got an offer from a publishing company. Alas though they wanted to groom this manuscript toward a movie of the week theme and was looking to change the entire concept. Joe didn’t want to go along with those plans and walked away. Soured from his experience Joe began pursuing a different writing avenue and equally as strong passion: screenplays and filmmaking. While still in Denver Joe began making short films. He would make 3 of his own and though success alluded him in the traditional sense, he found another type of success. The relationships he forged and the avenues he opened up, led him to realize he was not alone in his experiences and thus he decided to build a publishing brand. A company that could help others like him be discovered. It took some time but now Never Mind the Fine Print Publishing LLC is here. Their first effort, Joe’s book he wrote all those many years ago, Amongst The Killing. There are 2 sides to every story… For as long as he could remember Detective Charles Street wanted to be a police officer, moreover a Detective. He wanted to be knee deep in the action, working the biggest cases, and reaping the biggest rewards. He also didn’t think when his dream job came a calling that it would ever turn into his nightmare. For as long as he could remember Jack Casey just wanted to be free, his own man to do what he pleased when pleased. He too craved the action and when his dream life came a calling, he didn’t think he would meet anyone his equal and definitely didn’t think he could ever have difficulty leave the world he loathed and mocked behind. Amongst The Killing documents each of their stories, told in their own words, as the moments unfolded when their paths first crossed and their lives intersected. How two men, with two different philosophies, could be so different and yet so connected. As the ultimate cat and mouse game unfolds, each has to deal separately with the others decisions and the effects it has in turning their lives sideways and upside down. Will one of them crack? Will one of them even succeed? Ultimately the journey may mean more than the game and show both of them the outcome neither was ever expecting. This LA-based thriller by indie author Joe Compton is as much about the consequences of career choices and the obligations of family, as well as grief, suicidal impulses, a media-obsessed America, fear and redemption. The story switches (chapter by chapter) between Detective Chuck Street, whose recent assignment to the Robbery-Homicide division of the LAPD is both a fulfilment of his dreams and the indirect cause of his nightmares; and serial killer, Jack Casey, a man who believes society is worthless and pathetic, and so in fits of anger, kills. The alternation of chapters between both detective and killer works on two levels. First, the obvious and forefront cat-and-mouse-chase aspect, which serves as an effective way this book, as a thriller, creates tension. Secondly, this technique allows us to see the obvious differences between the two main characters, but crucially – and surprisingly – their similarities, which deepens the already burgeoning tension and creates thematic complexity. It was this last aspect that really got me hooked. This uneasy drawing of overlapping motivations between the two men really began a journey in what turned out to be an engrossing character-driven psychological thriller. Indeed it was the emotional states of both characters, but particularly Chuck Street’s grief about the loss of his family, that really left me impressed. Other novels may have brushed over his grief in a few pages, but Compton explores this brilliantly and thoroughly. Chuck’s horrific alcohol-induced visions allows us glimpses into his unravelling psyche, while his quieter moments demonstrate tender feelings of loss, for example, when he reads his wife’s old books. Scenes like this are written with a lightness of touch you wouldn’t necessarily expect from a book of this genre. An undercurrent of humour also runs throughout the novel, most of which come from the chapters involving Jack Casey. We can’t help but relate to his anger at society, the sheer stupidity of it. In one particular scene, we watch with fascination as he manipulates his own wife into sleeping with him. It’s a funny, guilty pleasure watching him seduce her for his own tawdry needs. And his killings, because they are unplanned, also provide off-beat humour, while, of course, remaining realistic and gruesome. The book is thoroughly well-researched in terms of police procedure, the relationships between Chuck, his partner and Captain Rose, and the way the different departments interact, particularly the LAPD and the Marshall’s Office. I jolted awake. I could taste a dirty, salty, sour wetness filling my mouth. My eyes were halfway shut, feeling heavy and unable to open. I ripped my head loose of the heavy feeling trying to overwhelm my senses. My hands sunk into a cold, slimy sludge. Regaining some semblance of my balance and my senses, I flinched at the searing downpour of thick, sharp raindrops smacking me with ferocity. 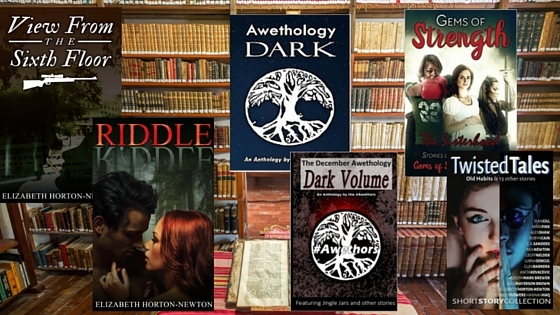 My nose and eyes twitched from the clumped up, earth slime oozing down from out of my hair. I glanced down squishing the sludge underneath my hands, producing a thick glob of muddy soil and ripped up patches of grass. Stuck on all fours I began to maneuver out of the drudgery and sit up. I began swallowing and feeling the back of my throat getting soiled with the salty vinegar of my own saliva. I began choking as the bitterness felt like chunks of meat lodged in my throat. Was this another real dream? It seemed to be as real as any other I had experienced. My body shivered and my eyes fluttered fighting the constant rain. My head throbbed as I continued to hold my eyes open. Finally, after a couple minutes of getting used to the fierce pain, and adjusting to the light that seemed to glare brighter with every glance, I stopped trying to figure out my exact location for a moment and concentrated on regaining all my faculties. I peeled my palms from the jagged, wet surface. A rich and gooey texture squirted from between my fingers, and stains and small globs stuck to my hand. I felt a ripping along my face, stretching the skin underneath my eyes and chin. I reached up with my fingertips and touched over harmless indentations that were evidence of blades of grass stuck to my face from laying face down on the ground. They were small but served as an indication of how long I’d been lying there. I reached around my face and peeled off rough flimsy strands of straggling grass that remained. So I was outside in the rain, laying face down on all fours in the grass, but where exactly was this? How did I get here, wherever ‘here’ was? Trying to tackle any of those questions served difficult as the pounding in my head became distracting. Stupidity was my initial thought. I decided I had fallen onto my front lawn and passed out. I figured I did so harmlessly and quietly because if I didn’t, in the neighborhood I lived in, I would probably more likely be feeling the cold, hard cement of a jail cell. At the very least, millions of eyes would be there, no doubt surrounding and honing in on me, shaking their heads in disapproval. So if I figured ‘here’ was my front lawn, I thanked God I had only gotten that far. Who knows what would happen had I made it into a car or out on the street? Small doses of heat poked out through the overcast gray of the sky and its sharpness stung my unprepared, zombie-like complexion. I squinted as my eyes, which were adjusting slowly, began to sting. I dug around with my palms into the grass, which seemed stiff and thicker than I remembered my lawn actually being. I knew I neglected the trimming and grooming process, but that was just it, the grass felt almost freshly cut. I forced my eyes to open wider and, when finally seeing the truth for the first time, I nearly felt like jumping out of my body. 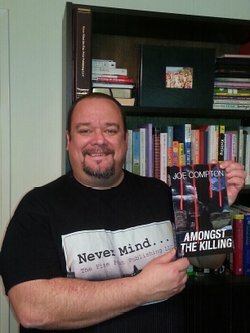 Angela B. Chrysler: I want to take a moment to welcome Joe Compton author of Amongst The Killing available on Amazon athttp://www.amazon.com/dp/B00TYXGT36/. Thank you so much for speaking with me, Joe. Please take a moment to tell us about your book. 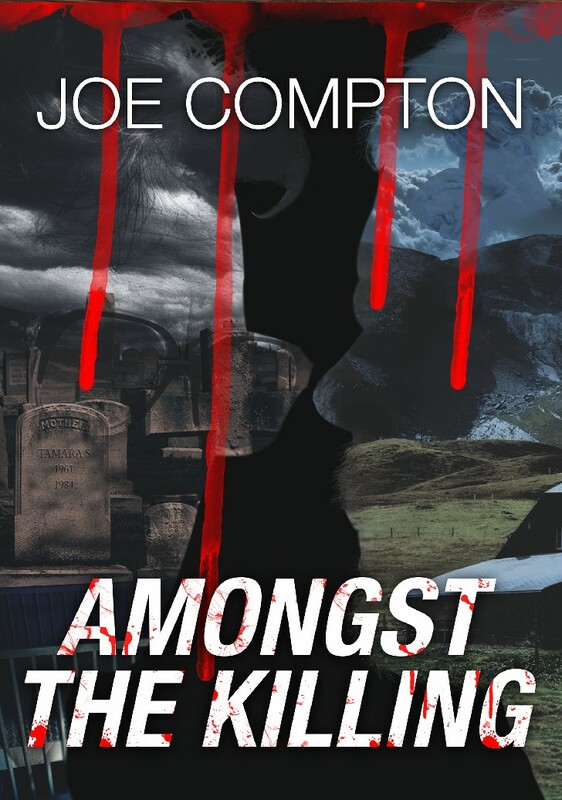 Joe Compton: Amongst the Killing is a 1 story about a detective and a mass murderer told by both perspectives; in their own words. JC: It really started with exploring one of the principles taught and engrained in me from an early age, that there are 2 sides to every story. Of course the added element of not everything is black and white, good and evil, and that there are gray areas so to speak, is the angle I wanted to tackle with a story. Then I got into true crime stories for a period and thought a cop and murderer was the perfect setting to tell this story. JC: I did a lot. I read almost every Los Angeles Police Department and US Marshall policy and procedure manual I could get online and in the library (and yes they read like stereo instructions). I went on a ride along with the LAPD and reached out a retired LAPD Homicide Detective and picked his brain every chance I got. JC: The very first one. I combed over and edited it more than any other. I am big on setting the tone right off the bat and I wanted the first chapter to grab you and if it did I knew the rest would never let you go. So I worked very hard on finding that balance of the tone, the story, and the characters. JC: I think the face to face meeting between Detective Street and Jack Casey was the scene I was so looking forward to writing the most so I really like how it turned out because it gives the story that last pop it needed to move toward the end. JC: Well since they came from inside of me I think I have to relate to all of them in some way and they are like my children, thus I would never choose one over the other. JC: Well Edgar Allen Poe was massively important in my youth. He showed me that you can scare and make people think by using human nature and the will of people. That revelation really made me aware of what a person is capable of when the edges around them crumble or they knock them down themselves. I also feel like a mix of Ayn Rand, Hunter S Thompson, and Ray Bradbury sneak their way into the philosophies of the characters and stories. 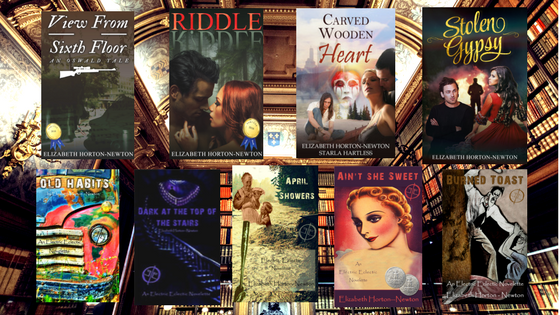 The way each of those authors were fearless gave me the courage to be fearless. JC: It’s everything. At the core of who we are, is a story. It generates emotion, it progresses and evolves you, and it gives to you what you put into it. JC: I am writing the sequel as I am doing this. It is entitled, “We The Moral Majority”.